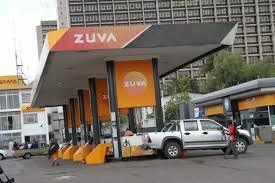 The Zimbabwe Energy Regulatory Authority of Zimbabwe (ZERA) has said the country has enough fuel stocks for the market and Government will not increase its prices in the near future. As such, there is no need for the market to panic. This comes as there has been rumours circulating that another fuel price hike was looming, triggering some panic buying, especially in Harare, resulting in limited supplies and queues emerging. ZERA acting chief executive officer Eddingtom Mazambani said the shortages that were experienced last week were a result of supply gaps that has been closed by the fuel supply inflows. Last month, Government reviewed diesel price to $3,11 from $1,30 per litre, while petrol was increased to $3,31 from $1,40. They say it was necessary to tackle long queues that were forming at fuel service stations, as well as address hoarding that had become rampant.